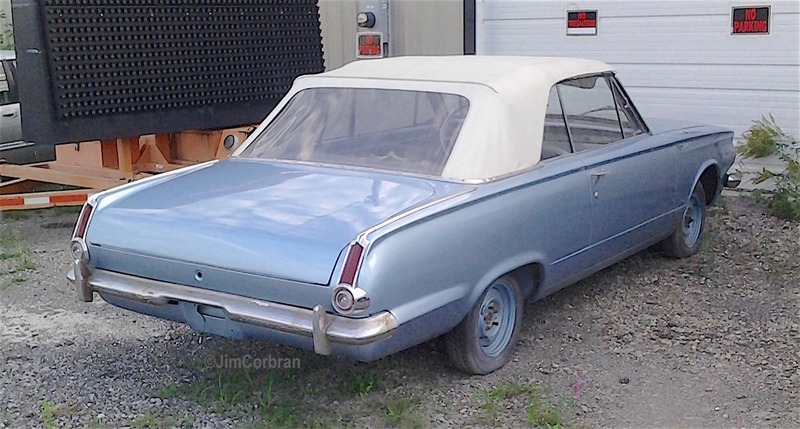 Here’s the second (of two) 1965 Plymouth Valiant convertibles I came across on a recent bicycle ride around town — about a mile apart from each other (what are the odds, some 51 years later with only about 5,300 of them being produced?). Where the other one was registered and on the road, this blue one looks like it’s in the middle of a transformation as it seems to be wearing new paint while also missing some of its chrome bits. Saw this one in the City of Tonawanda.